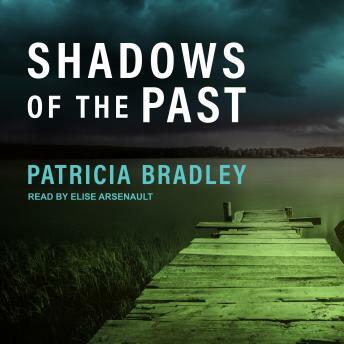 Listen to "Shadows of the Past" on your iOS and Android device. Psychology professor and criminal profiler Taylor Martin prides herself on being able to solve any crime, except the one she wants most desperately to solve-the disappearance of her father twenty years ago. When she finally has a lead on his whereabouts, Taylor returns home to Logan Point, Mississippi, to investigate. But as she works to uncover the truth, someone else will do almost anything to keep her from it. Nick Sinclair pens mystery novels for a living, but the biggest mystery to him is how he can ever get over the death of his wife-a tragedy he believes he could have prevented. Now that his estranged brother is the only family he has left, Nick sets out to find him. But when he crosses paths with Taylor, all he seems to find is trouble. Join the chase as Taylor and Nick search the murky shadows of the past for the keys to unlocking the present-and moving into a future they never imagined. This mystery kept you on the edge of your seat, enjoyed it entirely.